Energy and security developments in eastern and southern Mediterranean were discussed during the joint meetings held by the Foreign Ministers of Greece and Cyprus Nikos Kotzias and Nikos Christodoulides in Israel and Egypt with their counterparts. They met with Israeli Prime Minister Benjamin Netanyahu on Thursday, and the Egyptian Foreign Minister Sameh Shoukry on Friday. Public statements that followed the meetings were very limited and according to Greek daily “Kathimerini” this indicates the intention of all four countries to further solidify their cooperation in a wide array of fields – with Greece, Israel and Cyprus teaming up to lay the groundwork for the future supply of gas to Europe from the Eastern Mediterranean. According to an Egyptian Foreign Ministry statement on Friday, the foreign ministers discussed regional developments and means of boosting consultation and shared views, which support stability and security of the region. The meeting held in Cairo came within the framework of the continued consultations and coordination among the three countries to enhance relations, the statement said. The three top diplomats also focused on preparations for the upcoming summit due in Crete, Greece later this year, on mechanisms of cooperation, it made clear. 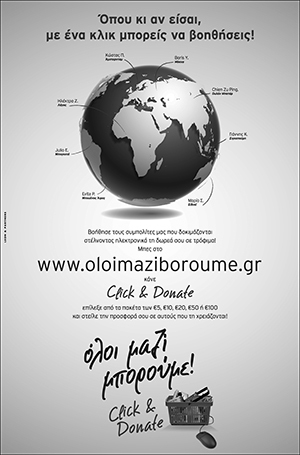 It should be noted that Greece is particularly interested in delineating its exclusive economic zone (EEZ) with Egypt. According to press reports, the main issue was the signing of an agreement between Cyprus and Egypt for a pipeline to provide Cypriot gas from “Aphrodite” to Egypt. The agreement could be signed before the end of September, probably in the sidelines of the UN General Assembly in New York. 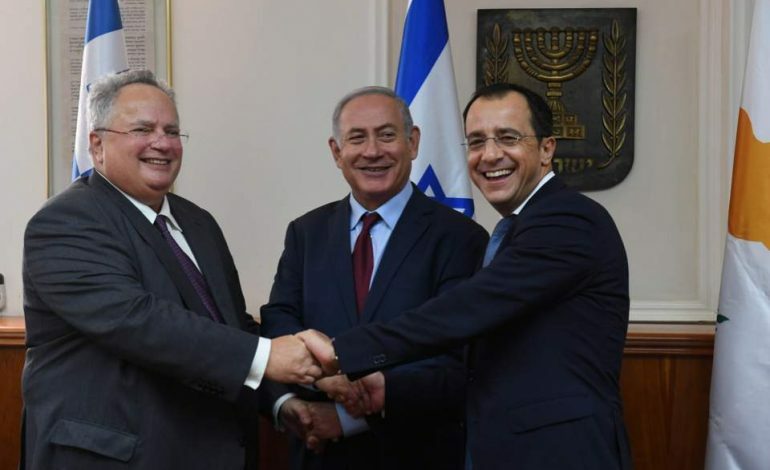 The prime focus of Israel, Greece and Cyprus right now is to develop the Eastern Mediterranean pipeline which is a great project, and could be one of the great underwater projects in the world, Israeli Prime Minister Benjamin Netanyahu said on Thursday, prior to a meeting he had with the Foreign Ministers of Cyprus and Greece, Nikos Christodoulides and Nikos Kotzias, in Israel. “Our prime focus right now is on energy, on developing the Eastern Mediterranean pipeline, it’s a great project, could be one of the great underwater projects in the world and obviously it is something we think it is important,” he noted. President of Cyprus Nicos Anastasiades said on Thursday that Cyprus and Israel would continue working on further enhancing their cooperation. Addressing the Grand Opening Ceremony of the Jewish Community Centre and the Ground Breaking of the Jewish Holocaust Museum of Cyprus, in Larnaca, President Anastasiades also noted that the trilateral cooperation of Cyprus, Greece and Israel is of strategic importance. “The bilateral relations between Cyprus and Israel are at the highest point ever and this reflects our common commitment for sincere political dialogue and to continue working together for the further enhancement of our cooperation in an ever-increasing array of fields, particularly in important spheres such as energy, defence, communications, health, tourism, culture, technology and innovations” said the President, in a speech delivered by Energy Minister Yiorgos Lakkotrypis on Anastasiades’ behalf. Anastasiades noted that Cyprus and Israel actively stand by each other during the most difficult and critical times, something that proves our true friendship. “We also consider the trilateral cooperation we have established with Israel and Greece to be of strategic significance. A partnership that reflects our common determination to create a multi-thematic framework of cooperation to the benefit of our countries and people, but also of our immediate region,” he noted. He then expressed gratitude, on behalf of the Government and the people of Cyprus, for Israel’s unwavering support towards our efforts to reach a comprehensive settlement to the Cyprus problem.